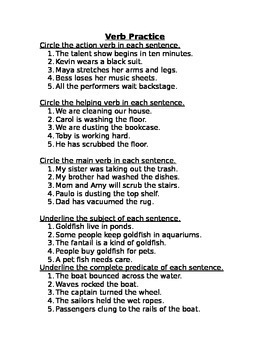 Identify main verbs, helping verbs and action verbs. Also included are identifying the subject of the sentence and the complete predicate. This is a good review practice before state testing or at the conclusion of a unit.